Do you have specific questions about Southwestern Michigan? May we help you find a business or service to make your visit more enjoyable? Our Council members are some of the friendliest people you’ll ever meet! So stop by our tourist center (map), call us at 269.925.6301 or e-mail your questions below and we’ll get you answers fast. And be sure to request any of the free brochures that will make planning your visit and stay more enjoyable. Yes, I'd like to sign up for the E-Newsletter? Are you inquiring about a group? Whether you are planning a family reunion, wedding celebration, conference for your association, business meeting or motorcoach tour – you will find the right venue for bringing people together in Southwestern Michigan. Our Council members can create a lodging, meeting space and entertainment package in Berrien, Cass or Van Buren County that will make it fun for everyone. 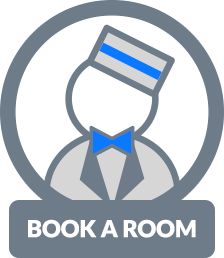 To make your planning easier, ask us to get you the best availability and pricing for 10 or more rooms at any of our member motel and hotel properties in Benton Harbor, St. Joseph and Stevensville. There’s no fee for this service! Call us at 269.925.6301 or E-mail us the information below.